Take control of your Canon 7D Mark II dSLR and the images you create! Price: $14.99 - Now Available! 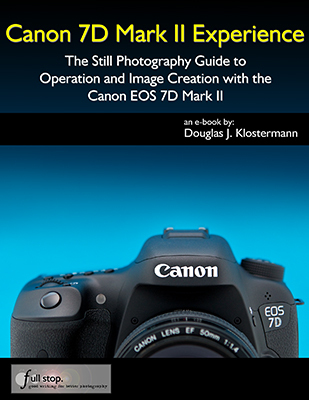 Canon 7D Mark II Experience - The Still Photography Guide to Operation and Image Creation is an e book user's guide that goes beyond the manual to help you learn the features, settings, and controls of this powerful, versatile, and highly customizable camera. Most importantly, it explains not only how but also when and why to use the essential and advanced features, settings, and controls in your photography. Written in the clear, concise, and comprehensive manner of all Full Stop guides, Canon 7D Mark II Experience will help you learn to use your EOS 7D Mk II quickly and competently, to consistently create the types of images you want to capture. Take full control of the sophisticated autofocus system to capture sharp images. Learn how, when, and why to use and customize the various controls, buttons, and features of the 7D Mark II. To get you started, it includes explanations and recommended settings for all Menu settings and Custom Function options of the 7D Mark II. It covers basic dSLR camera functions and exposure concepts for those learning digital SLR photography, and explains more advanced camera controls and operation, such as taking control of the sophisticated autofocus system for sharp focus of still or moving subjects, using the various metering modes and exposure compensation for correct exposure of every image, and taking advantage of additional features found in the 7D Mk II such as in-camera HDR, Interval Timer, and Multiple Exposure Modes. For experienced photographers coming to the EOS 7D Mk II from other models, this guide explains the new and advanced features and settings in order to quickly get you up and running and taking advantage of these capabilities. This includes a comprehensive explanation of the new 65 point autofocus system, and all of its Area Modes, Cases, and options, to help capture still subjects and track moving subjects. Plus it explains the camera controls, the in-camera HDR, Interval Timer, and Multiple Exposures features, in-camera image processing, introduces the HD video capabilities, GPS functions, and guides you through all the 7D Mark II Menu and Custom Function items in order to help you best set up and customize the camera and its controls for your specific shooting needs. Example images from Canon 7D Mark II Experience. You can also make use of the free, helpful, and comprehensive Canon 7D Mark II Set-Up Guide spreadsheet created by the author, as a reference and to help set up your camera. Setting Up Your EOS 7D Mark II - Explanations of all of the Canon 7D Mk II Custom Function settings and Menu options, with recommended settings for practical, everyday use. These settings are a significant part of what makes the 7D Mark II such a powerful and versatile camera. 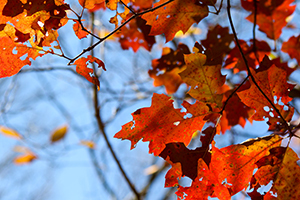 Set up and customize the advanced features to work best for the way you photograph. 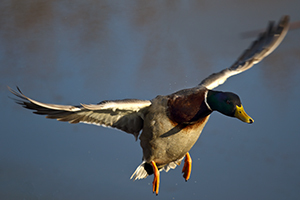 Auto Focusing Modes and Drive Modes - How they differ, how and when to use them to capture sharp images of both still and moving subjects, including explanations of the powerful AF Configuration Cases for moving subjects. 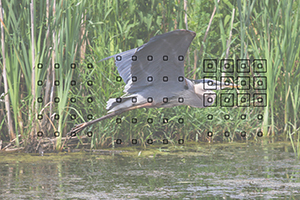 Also how and when to use focus lock and back-button focusing. Multiple Exposure, HDR, and Interval Timer Shooting - Explanations of these 7DII features. Introduction to Video Settings - Explanations of the menus, settings, and options to get you started. GPS - Introduction to the set-up and use of the camera's built-in GPS, to geotag and map your photos. Photography Accessories - The most useful accessories for day-to-day and travel photography including those specific to the 7D Mark II, plus recommended photography books. This digital guide to the Canon 7D Mark II is a 409 page illustrated e-book that goes beyond the 7D Mark II manual to explain how, when, and why to use the features, settings, and controls of the 7D Mark II to help you get out there shooting in the real world. Title: Canon 7D Mark II Experience - Now Available! Best reference book for Canon 5D Mk III - Well written and easy to understand. This book really helps one to be able to take advantage of all the features of the Canon 5D Mk III. A must have book for anyone new to Canon 5D. Excellent ebook - This ebook is first-class, and this author knows his stuff about Canon cameras. He cuts to the chase, and gets right to the heart of the important matters. I learned a lot and I learned it very quickly indeed - which I am now putting to good use with my 5D3. Highly recommended. Extremely Helpful - This is an extremely helpful guide to the Canon 5D Mk III camera and complements Canon's own guide very well with better descriptions and recommendations for many features, especially for the Auto-focus capabilities, custom menus, navigation of the software, and camera buttons. As a professional changing over from the Nikon D700 and previous Nikon systems, it helped me to understand the features of the camera better, know where to tweak things for my own shooting style and ultimately be able to use the camera more effectively than would have been otherwise possible. My advice is to buy it right away and use it alongside the Canon Manual. Will Save You A Month On The Learning Curve - This book clearly and practically walks the reader through every step of setting up and using the 5D3 for the first time. A wonderfully well-organized book, it explains every feature and setting on the camera with recommendations on optimal setup choices and the reasoning behind each recommendation. 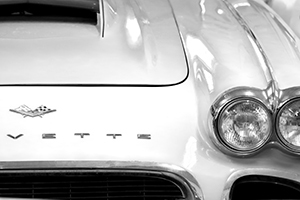 Well-selected photos taken with the 5D3 make each concept crystal clear with no room for ambiguity or confusion. It is remarkable to me how the author manages not only to explain the complex feature set of the camera in an easy-to-follow manner, but actually teaches the fundamentals of exposure, composition and efficient use of the camera in a totally compelling and effective manner. Whether you are a novice or experienced photographer, this book will impart a huge amount of information quickly and you will save yourself weeks on the learning curve in just a few hours. For a camera as feature-rich as the 5D3, this is a major accomplishment. This is the lowest cost, highest value accessory I could have purchased. Beyond merely teaching me the camera, it reinforced and tied together all the basic concepts of photography and actually made me a better photographer. This book makes you feel smarter and more in control with every page from start to finish. It's the best how-to book I've ever read. Simplifies without technical jargon! - Douglas Klostermann has the unique ability to explain in very readable, easy-to-follow directions how to operate every facet of the Canon 5D Mark III. This is definitely worth purchasing as a companion to the Canon 5D Mark III and the camera's manual. Excellent guide to get started with the 5D MkIII - I was not disappointed, the book was everything I had hoped for and more. This really helps you get started and make the settings right. I refer to it again and again…I highly recommend this book for anyone starting to use the 5D MkIII, regardless what camera they had before. I learned so many things that I really didn't realize that the camera was capable of - The printed manual that came with the Canon 5D Mk III was confusing and more often than not, left me scratching my head. What a pleasure it was to find and read such an intelligent and useful guide to the camera. Although I've had several Canon DSRLs, and am familiar with the menus, I learned so many things that I really didn't realize that the camera was capable of. I would highly recommend the e-book to anyone who has the camera. Simple, straight forward book! - I usually buy the Lantern series to "dig in" a little deeper into the intricacies of using my new Canon correctly. This time however, the book wasn't forthcoming. I needed extra coaching, especially on the AF part of the 5D Mark III. I found this book and decided to take a crack at it. The author proceeds methodically and clearly. Every subject is treated in turn, especially explanations on AF! Doug explains absolutely everything, concisely and clearly. I have no hesitation in recommending it. Indispensable Resource! - A must-have resource to have close at hand for the Canon 5D Mk III - a complex, feature rich tool. (I) refer to it in the field to be able to get the most out of the opportunity and the scene. 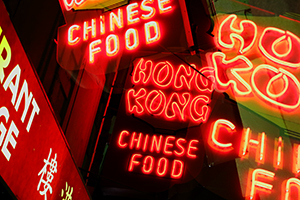 There are so many menus and choices it can be sometimes overwhelming or plain confusing. This book is a great tool to have readily available in its electronic form. Excellent book best way to learn complicated 5D Mk III functions - This is a great guide and will save you hours of puzzling over the Canon supplied manual. It takes you through the many complicated focusing options (and) discusses all the important options in a well laid out manner, with pictures of menus that you will be using so you can easily fine tune the camera to your needs. Great Manual - This is a must have book if you have the Canon 5D Mark III. I have to tell you, after reading this book, and finally moving the camera's dial to manual, what an exhilarating rush that was! I can now control the picture itself and the way I want it. I am now the brain behind the camera, not just the guy who pushes the shutter button. The book really explains very well all the switches and buttons of this camera with color illustrations. The author also gives you advice as to the best settings for each mode, which I found extremely useful. Like a life line when you really need one - I would highly recommend this ebook to anyone who either buys or is considering buying the Canon 5D Mk III. This ebook has been a genuinely valuable resource for me. Compared to my 40D, this was a really complex camera - the complexity of the features was mind boggling for me at the time, not any more. Doug has a talent for putting things in a clear, easily understood fashion. He goes through each parameter and explains how it works and how the features work together. He gives real world examples and even offers recommendations on how to get started. I think he has done an admirable job of making this tool easy to use and sped up my learning tremendously. Great e book - It is wonderfully written and worth it's weight in gold. It is written in such a way as to be understood by even the most novice to the seasoned professional. Clear and easy to follow - I read this book from start to finish and gained as much information as I needed to use my 5D Mk 3 to its potential. Instructions are clear and easy to follow, format takes you through in logical sequence, tips and hints are invaluable. If you have, or are contemplating owning a 5D Mk 3, I feel this book is a must. A must - I really enjoyed the book. Having read the Canon Manual, which at times can be somewhat confusing, this was a breath of fresh air, with easy to follow instructions and many good tips and suggestions. If you've purchased a 5D Mark III, do yourself a favour and get this book, it just makes sense of it all. This is the way to do it - If you've purchased the 5D Mark III, the chances are you already have some familiarity with camera concepts and basic functionality. Either that, or you have way too much money to spend and a propensity to jump into the deep end of the pool! Even so, and in either case, do yourself a favor and get this book. Klostermann does a superb job of first giving you an easily comprehensible view of each function from 500 feet, and then delves down just enough to give you what you need to get going. I like the masterful de-mystification of a complicated subject executed in the book, a lot. You will too. Very clear and precise - It explains all the features of the 5D Mk3 and does this in a very clear and precise way giving a detailed run through of the camera functions and controls as well as the operation and options of the menu system - and it does this without assuming you are an expert photographer to begin with. This is an excellent book to help with getting to grips with the Canon EOS 5D Mark III, whether as a newcomer to the EOS world or upgrading from a previous version. This book is the only guide I need - Well written, detailed enough to answer questions that were not well covered in the manual, and full of helpful suggestions about camera setup and use. I was planning to buy one of the (other) books when they came out, but I don't intend to now. This book is the only guide I need. It is a great value, and very timely. Superb Guide to the 5D Mark III - An excellent guide to an excellent camera. Clear and consise. A great tool for budding photographer as well as the seasoned pro. A sure way to get the most out of your camera. Great book--outdoes the owners manual & way better read! - This book is a great, easy explanation. You can skip along to any points you want with ease. Written in a much more user friendly manner than Canon's Owners Manual. Canon's manual is an easy invitation to conquer insomnia. This book offers more information with more interest! Highly recommended. 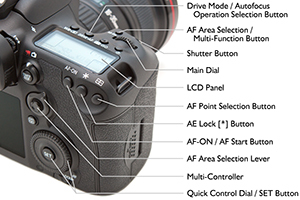 A very useful tool to understanding your new 5D Mark III - Easy to read. Easy to follow. Most important, unlike the Canon manual, when the author goes through the features of the camera he suggests settings choices with good explanations for his choices. He also does a very nice job explaining the complicated focus system for this new camera. Lots of substance to this ebook. Doug Klostermann is a travel, culture, and humanitarian photographer and the author of several best-selling dSLR camera guides. He has photographed for numerous organizations in Latin America and the United States, been recognized by the United Nations Development Programme for his humanitarian photography, and been published in magazines and books including Conde Nast Traveler, Sherman's Travel, South American Explorer, and Viva Travel Guides. Doug is a member of the National Press Photographers Association. View his images at www.dojoklo.com. Learn more about photography equipment and techniques on his blog Picturing Change at http://blog.dojoklo.com/. with this Canon 7D Mark II e-book user's guide. Copyright - Douglas J. Klostermann / Full Stop Media, LLC - all rights reserved.